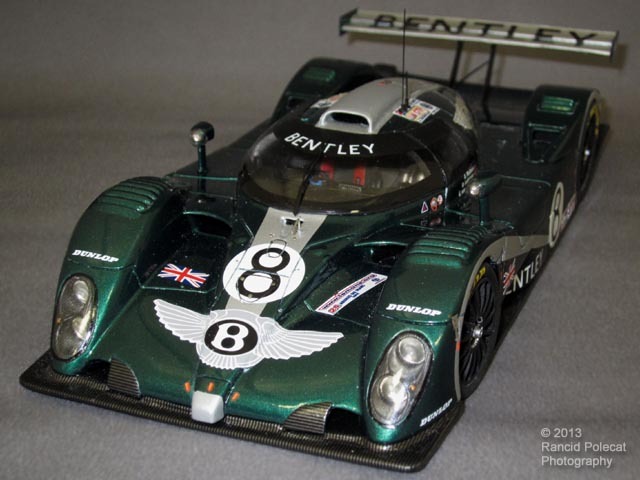 Bentley returned to Le Mans in 2002 with just the number 8 car. Driven by the same team as the previous year; Butch Leitzinger, Andy Wallace and Eric Van de Poêle, the Bentley was powered by a larger 4.0 liter turbocharged V8 and featured slight body modifications. The 2002 car had lovers added to the fender tops and different duct openings. The car slipped to fourth place overall that year, but still won the LM GTP category.